Our annual winter Christmas wonderland has become the go to event for all people who love Christmas. With incredible styling, a delicious three course menu and half price cocktails this is an event not to be missed. We cater for corporate groups, social clubs, and all other groups small or large for this evening. This year we have set aside the 26th and 27th of July for this event. Book now as this sells out every year! 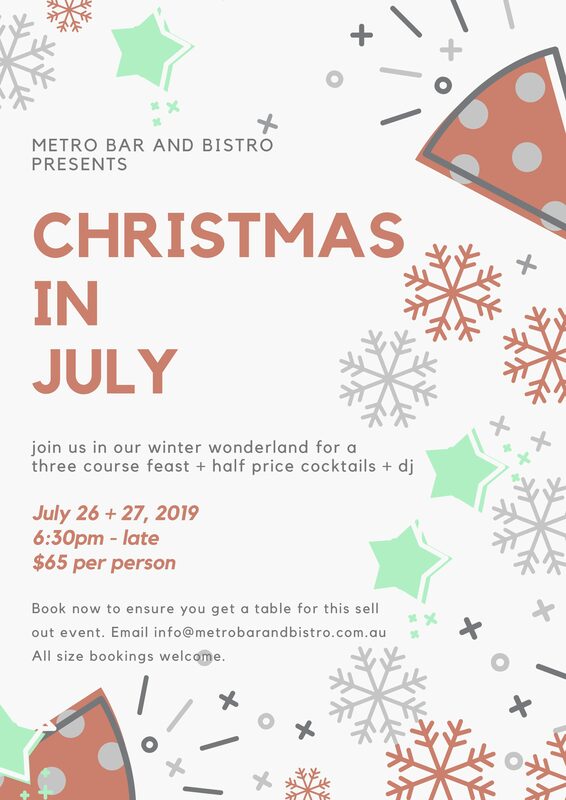 Email info@metrobarandbistro.com.au to lock in a table.